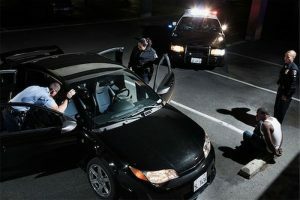 Motor Vehicle Crimes Category Archives — Boston Criminal Lawyers Blog Published by Massachusetts Criminal Defense Attorney — Law Offices of Lefteris K. Travayiakis, P.C. As you may have heard in the news lately, former New England Patriot and NFL player Brandon Spikes’ Mercedes was involved in an accident on I-495 in Foxboro, Massachusetts last week. According to the Massachusetts State Police, Spikes’ Mercedes was allegedly speeding when it crashed into the rear of a SUV. The Mercedes was located further along the road in the early morning hours after the vehicle’s roadside assistance indicated that the driver reported hitting a deer. The driver who spoke with roadside assistance was apparently not identified; and none was in the vehicle when it was located. The New England Patriots then released Brandon Spikes later that day. Massachusetts State Police report they will now summons the former New England Patriot into Wrentham District Court and charge him with several criminal motor vehicle violations, including Leaving the Scene of an Accident Resulting in Personal Injury and Negligent Operation of a Motor Vehicle. But do they even have a case? Paul Baran was arraigned this morning in Taunton District Court on Massachusetts Motor Vehicle Crimes for allegedly striking and killing a teenager riding his skateboard last week. 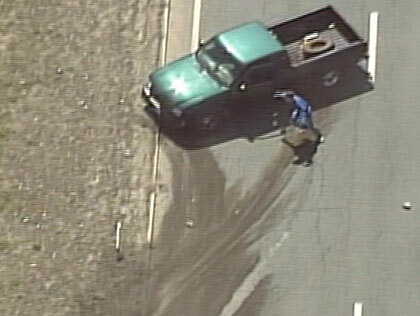 Baran was a charged with Leaving the Scene of an Accident After Causing Death. According to prosecutors, Paul Baran allegedly left the scene of the accident after he struck teenager Nicholas Silva-Thomas in Tauton, who was riding his skateboard with friends near Watson Pond last Thursday night. At his arraignment, prosecutors represented that ‘a tip’ led the police to focus their investigation on Baran. Prosecutors argued that the police investigation revealed that Baran’s vehicle was missing its windshield, and there was visible damage to the front end of his car. Aaron Deveau, 17, of Haverhill, was arraigned on several Massachusetts Motor Vehicle Charges yesterday in connection with the February 20th accident that killed another driver. Deveau was arraigned in Haverhill District Court on several driving charges including Motor Vehicle Homicide, Negligent Operation of a Motor Vehicle and Texting While Driving. According to the Haverhill Police Department and the Essex County District Attorney’s Office, Aaron Deveau was allegedly texting when his car cross the double-yellow line and struck another car. Both persons in that car, Donald Bowley, Jr., and Luz Selena Roman, were both flown to Massachusetts General Hospital to be treated for their injuries. Donald Bowley, Jr., later succumbed to his injuries on March 10. Following his arraigned in Haverhill District Court, Aaron Deveau was released on his own personal recognizance, but he has been ordered not to drive while the car remains open. William P. Monopoli, of Boston, was arrested by Massachusetts State Police on Armed Robbery warrants following a high-speed chase that ended in West Bridgewater. According to the Massachusetts State Police, William P. Monopoli was wanted for allegedly violation his probation. Massachusetts State Troopers reportedly tried pulling him over but he allegedly refused, leading them to Route 106 in West Bridgewater where the pursuit allegedly ended when Monopoli crashed. He is expected to be arraigned in the Dorchester Division of the Boston Municipal Court Monday morning on several criminal charges, including Assault with a Dangerous Weapon, Refusing to Stop for Police, Leaving the Scene of Property Damage, and Negligent Operation of a Motor Vehicle.